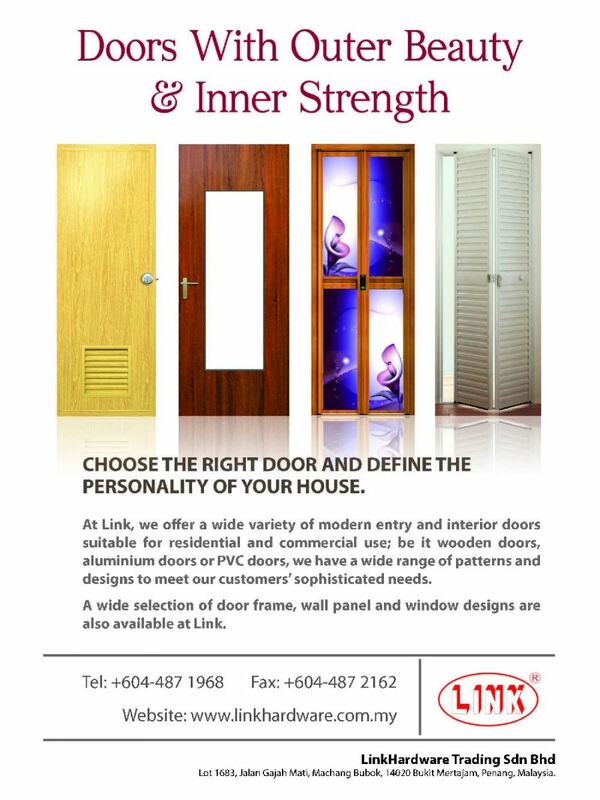 LINKHARDWARE TRADING SDN BHD - Our company specializes in the sales and marketing of high quality and attractive aluminium swing doors, pvc panel doors, pvc folding doors (including rigid or soft hinges types), pvc room dividers, pvc welding doors, pvc decorative doors and etcetera at very competitive prices. 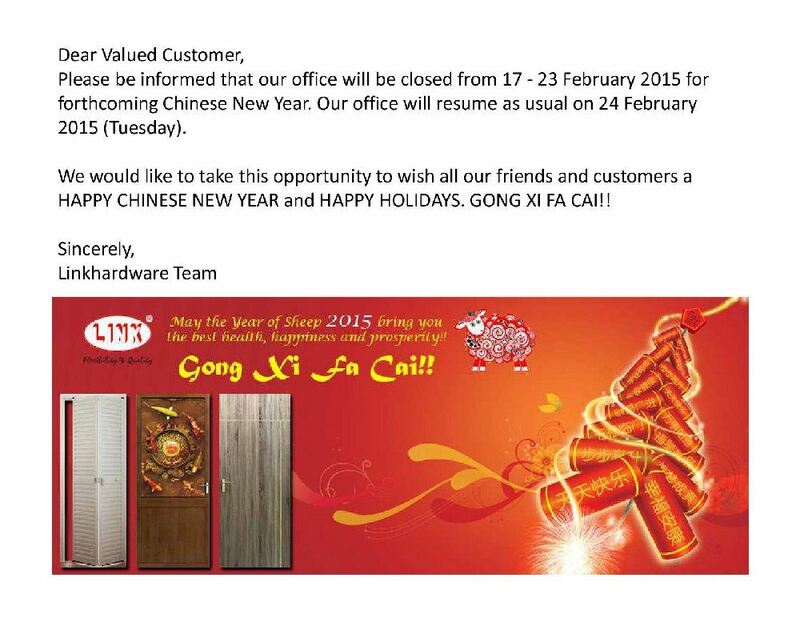 04-Feb-2015 Our office will be closed from 17 - 23 February 2015. 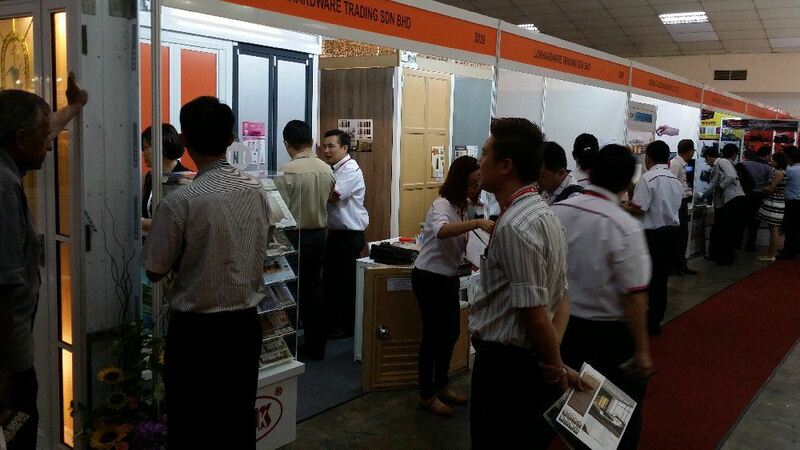 LinkHardware Trading Sdn Bhd was established in as a private limited company in 1991 and is both a manufacturer and supplier of PVC, Aluminium and Wooden, offering a huge range for your house, apartment, hotel, restaurant, retail store, office or factory. 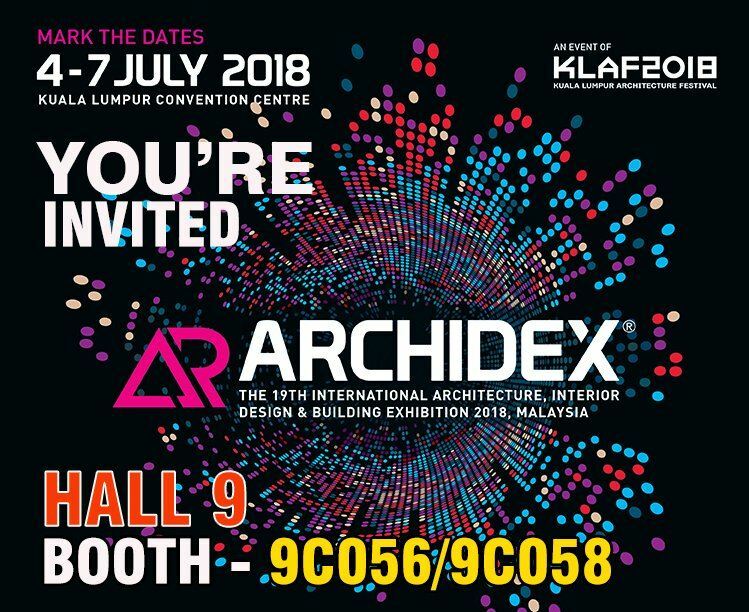 Our product range includes: 25mm & 35mm Box Door, 29mm & 35mm Swing Door, 28mm & 38mm Decorative Door, 35mm Welding Door, Folding Door, Bi-fold Door, Louvers Panel and Doors, Wood Composite Panel, window and door frames and many more, with a wide range of patterns and designs to meet our customers’ sophisticated needs. Our stringent quality control ensures that our products meet the highest quality standards before they are delivered to our clients. Besides our core products line, we also manufacture custom-made doors to meet individual clients’ requirements. 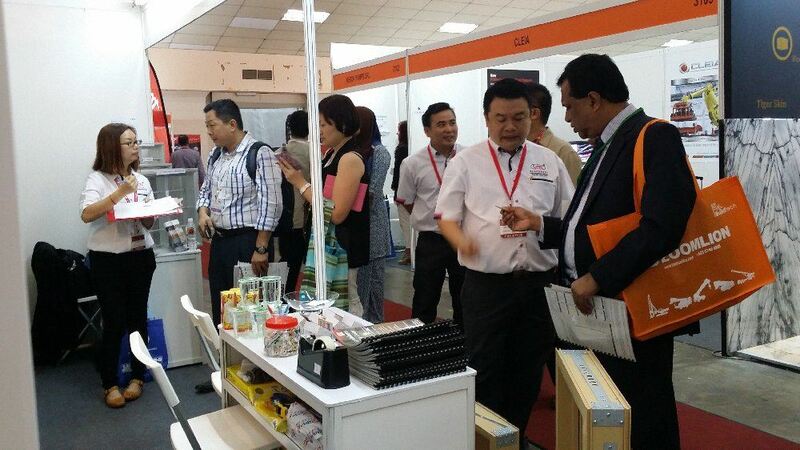 Our products are delivered in bulk and available through a national network of dealers and distribution centres across the Malaysia and South East Asia.